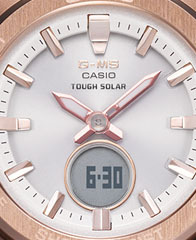 Thick forge-drawn metal material is pressed under high pressure to form a heavy but refined bezel. 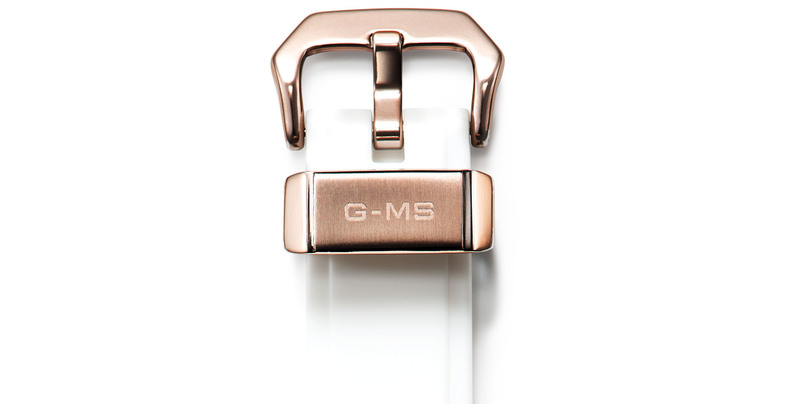 Mirror finishing and hair-line finishing are applied to selected areas of the surface. 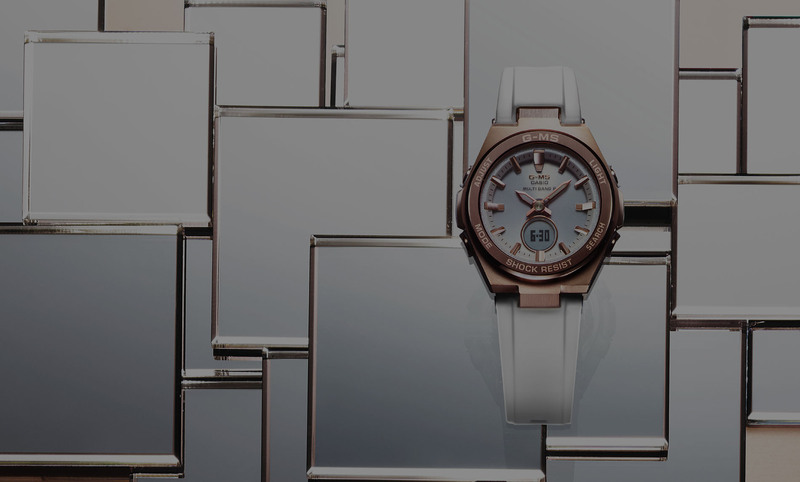 A metal bezel is combined with a lightweight resin case and band to create a woman’s watch with a sporty design that’s equally suitable for work or play. 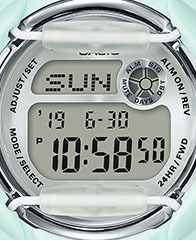 The band loop and buckle are made of metal. 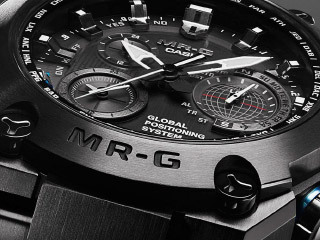 Excellent product quality is apparent from the strict attention to detail. 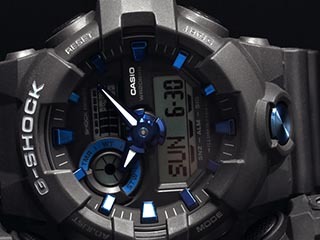 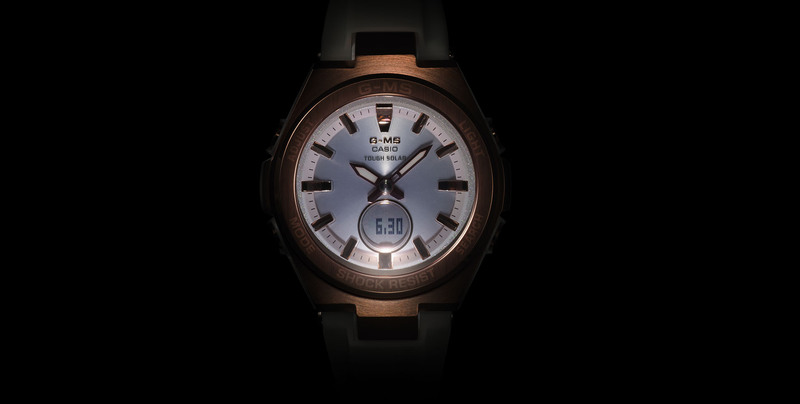 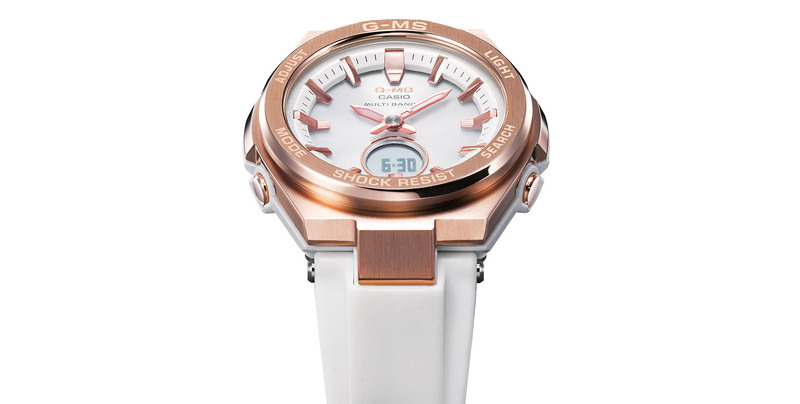 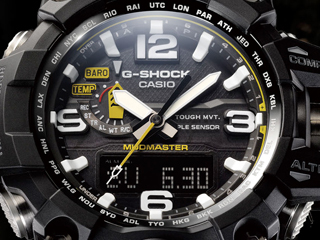 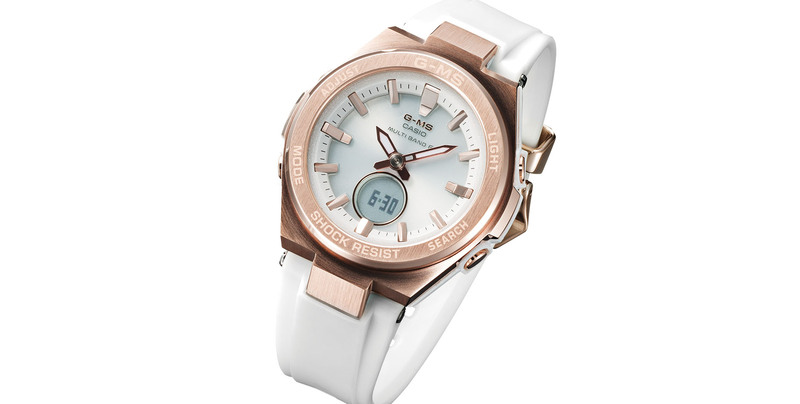 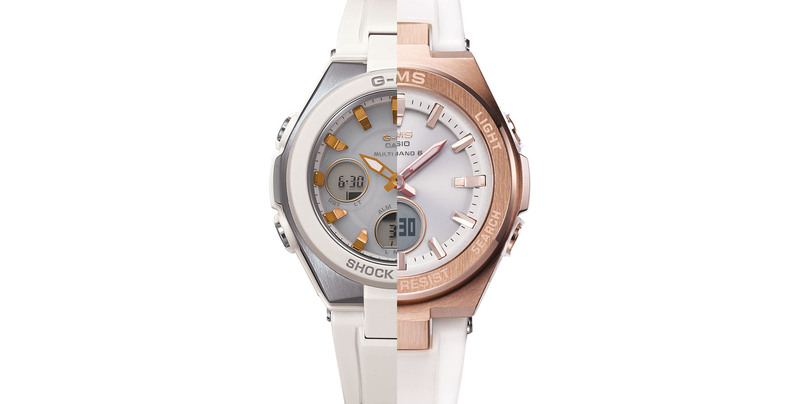 MSGW200G7A A high-brightness LED brilliantly illuminates the dial. 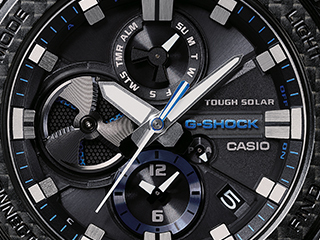 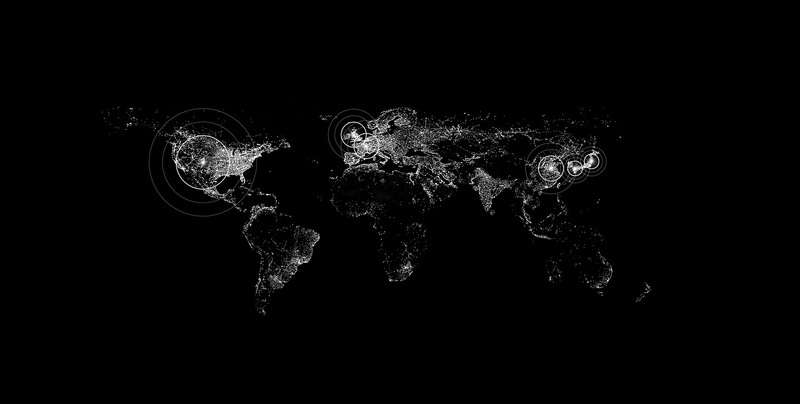 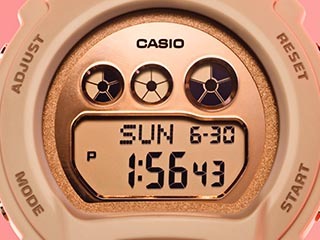 This solar-powered watch system receives terrestrial radio waves from six transmission stations worldwide and corrects the displayed time automatically.